This past year, Go Now Missions sent student missionaries to Southeast Asia where they helped serve a local church group. Fifteen years prior, this church group was forced to flee their home island due to the oppression they faced when they proclaimed Christ as Savior. After helping this church group in its new city, Hunter, a student at the University of Texas at El Paso, and another student went to the island that the church group had fled. After a nine-hour boat ride, the pair made it to the island village and got to work. To their amazement, they discovered that the Lord had already been at work on the island. There were several professing believers who took them in, including the chief of the village. However, these brothers and sisters lacked resources and direction, so the students were able to host a house church service for them. “We sang praises, we read the word together, and as a church, we prayed for the people of the island. We were only there for a day, but God had gone out before us and had been working there for years. It was truly beautiful to see God on that island,” said Hunter. Hundreds of students are being sent each year through Go Now Missions to aid local, national and international ministries and missionaries. 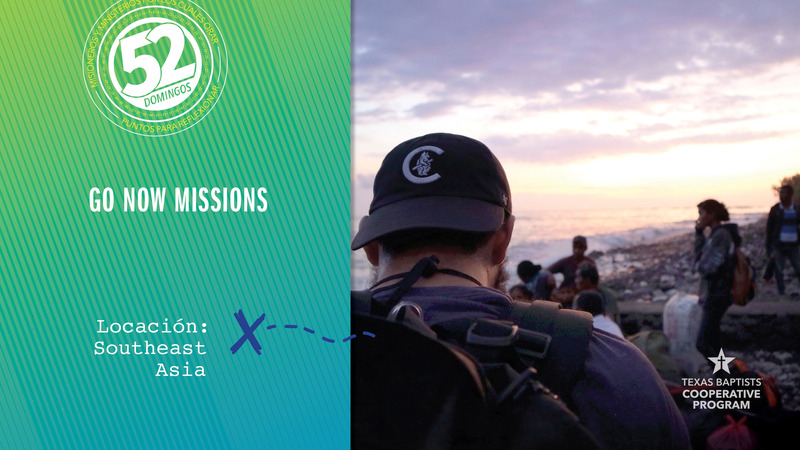 As part of our church’s giving through the Cooperative Program, our church supports the Go Now Missions office which trains and sends out more than 500 student missionaries each year. Together, let us pray for Go Now Missions as they continue to send student missionaries to reach people in need of hope, grace and love.